"The Marines' Battle Cry of the South Pacific!" 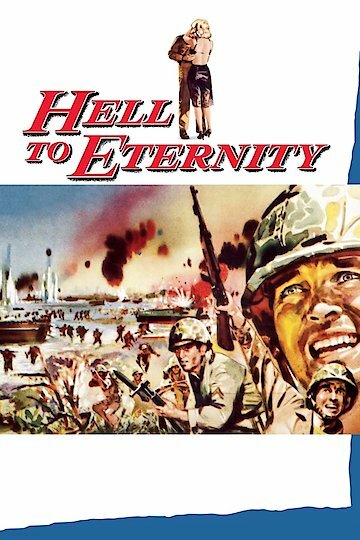 Hell to Eternity is a biographical war movie. It is based on a true story of World War II. Guy Gabaldon was raised by a Japanese American foster family. During the war they were interned and Guy joined the service. He was taught to speak Japanese by his family. It made him a perfect agent for the Allies. At one point in the war he convinced a large group of Japanese soldiers to surrender using his language abilities. Hell to Eternity is currently available to watch and stream, buy on demand at Amazon, Vudu, Google Play, iTunes, YouTube VOD online.